About Lawrence E. Walker, Sr.
Dr. Donald Wesley White Jr. is the vice president of Leadership At Its Best. In this role he is responsible for professional training associated with Business practices and policies. White has more than 30 years leadership experience and recently served as director of corporate development where he provided consultation for business growth in healthcare serving individuals with developmental disabilities. He conducted a study addressing small businesses challenges in providing healthcare for employees. In addition, he is very active in the community where he lives and works. He is a member of Phi Beta Sigma Fraternity Incorporated where he has served as President, Vice president, treasurer, and currently heads leadership training for high school males. White can also be seen as an actor on the silver screen. 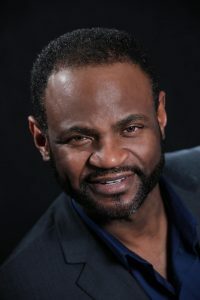 White earned a bachelor degree in Criminology from Capital University, a Masters degree in Conflict Analysis and Engagement from Antioch Midwest, and a doctoral degree in Business Administration from Walden University. White is also a published author.